the show is basically about some dude that turns into an underage girl it's kind of messed up/I couldn't finish the first episode I just can't watch this show it's too ridiculous, the dude turns into an underage girl, then they try to build a harem off this. 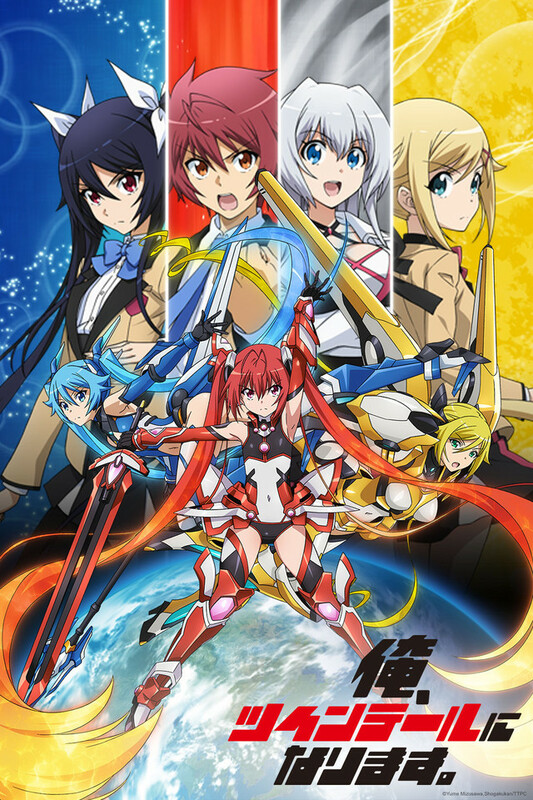 gonna be the twin-tail is a light novel adaptation of some fetish garbage but it's kinda charming how up front it is before it gets actually horny and spoils the religious purity of Soji's worship of twin-tailed girls. Soji would probably play Twintelle from ARMS on the nintendo Switch because her twin-tails are huge and could beat him up and he'd be like way into that.